Stay in Place vs. Lock and Leave Homes: What’s the Difference? As you approach retirement, you know you want a low-maintenance lifestyle. Many couples are choosing to sell their family homes in favour of something smaller and easier to manage. Builders are responding to the needs of retirees by creating homes that fit the two types of retirement lifestyles – those who are looking to comfortably age in their own homes and those who want to spend their golden years travelling. There are subtle differences in these types of lifestyles and knowing what you want will help you find the home that’s right for you. Learn more about your choices and how you can make the right decision. 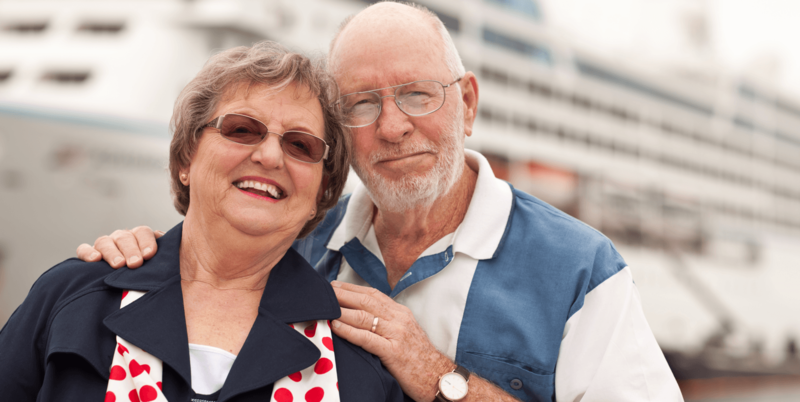 When you want to stay in place as you age, you need a home and a community that can accommodate your changing needs. Look for communities with plenty of amenities nearby. In particular, look for things you’ll need regularly, such as grocery stores, health centres, and commuter roads. You won’t want to drive an hour to visit your friends or family. You’ll also likely want a neighbourhood that’s friendly and has beautiful outdoor spaces. Getting outside is easy when you live in a community full of parks and walking trails. While gardening may be a hobby, it’s sometimes hard to keep up with major yard work as you get older. Communities that include exterior maintenance such as landscaping and snow removal are a big bonus. As for the home itself, many who wish to age in place prefer home styles that include bedrooms and living areas on the same level - such as a bungalow or villa. Hunter House and the Villas of Silverado are both located in southwest Calgary. These are both popular choices for those who want to stay in place as they age and are close to a variety of amenities that you can easily walk to including a grocery store, restaurants and coffee shop. Within a few minutes drive are the Shawnessy shopping area, Somerset C-Train station and the South Calgary Health Centre. The attached bungalows at Hunter House feature single level living with the home above the ground floor double car attached garage. At almost 1,700 square feet with two bedrooms, these homes have a large, open living concept. They also have a small private office area and a roomy terrace for entertaining. If you prefer living on the ground floor, consider the bungalows found at The Villas of Silverado. Ranging from 1,188 to 1,222 square feet, these one bedroom homes are easy to take care of. You’ll still enjoy elegant features like a chef’s kitchen, a spa-like bathroom and double car attached garage. Those who plan to spend a lot of time travelling during their retirement need a home that caters to their lock and leave lifestyle. You want a community that takes care of exterior maintenance and landscaping so you don’t have to hire someone to handle it while you’re away. Many retirees who will be away for extended periods look for extra security measures like fobbed entries. At the very least, you want to live in a friendly neighbourhood where your neighbours will keep an eye on your home while you’re away. Traveling retirees may also look for amenities such as underground parking so they can rest assured their car is safe when they're gone. For this reason, apartment condos are ideal. 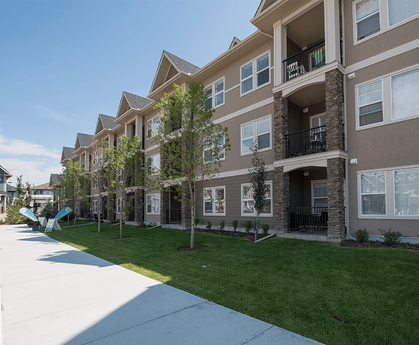 The Origins at Cranston is a family-friendly neighbourhood in southeast Calgary. This community is a great choice for those with grandchildren as there are plenty of parks, playgrounds, and amenities nearby. Spacious two bedroom floor plans also ensure there will be a spare room for visitors. You'll also love having meals on your full-sized balcony during the warm summer months. Vivace at West 85th is a vibrant, family-oriented community on the southwest side of the city. Here you have a wide variety of choices when it comes to one and two bedroom floor plans and you can also look forward to heated underground parking. The airport is only a half hour away via Stoney Trail, making this community a good choice for those who travel frequently. You want to enjoy your retirement and that starts with finding the right home in the right community. 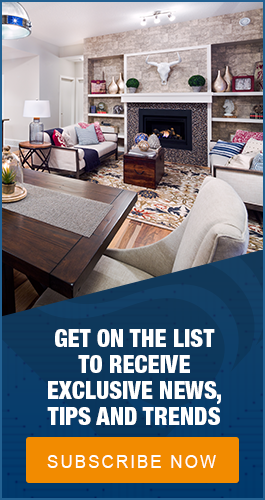 Come tour our show homes to get a glimpse of what your retirement can look like.